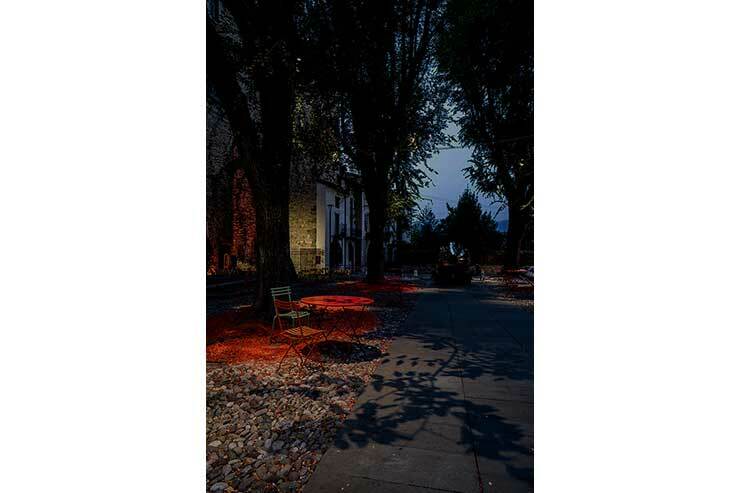 The concept for the lighting of the installation was highly driven by the landscape proposal and approach, as well as the existing elements in the square. 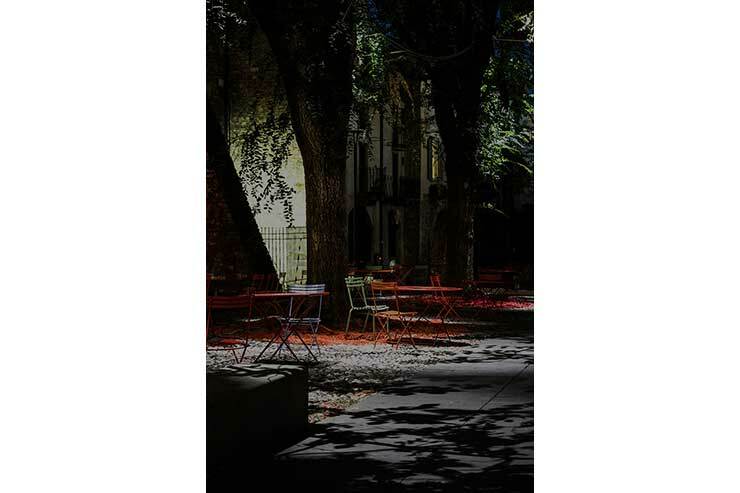 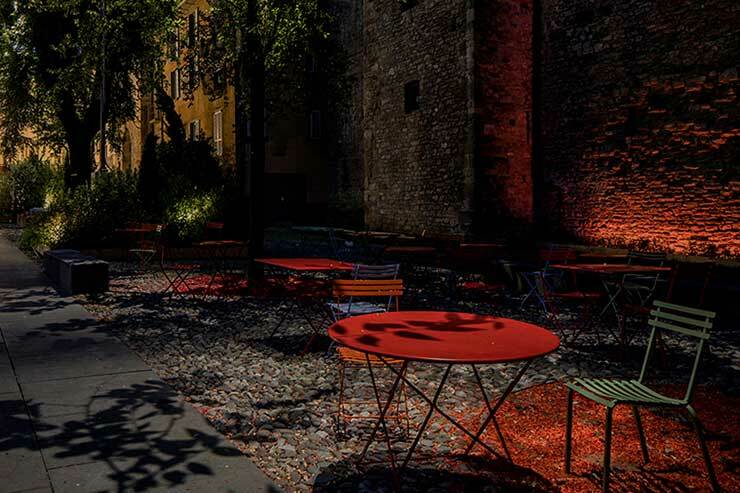 The intention is to create a different experience in the nightscape of the square and to use artificial lighting to evoke natural theatrical effects like moonlighting, the dappled leaves patterns as the night context of the landscape installation. 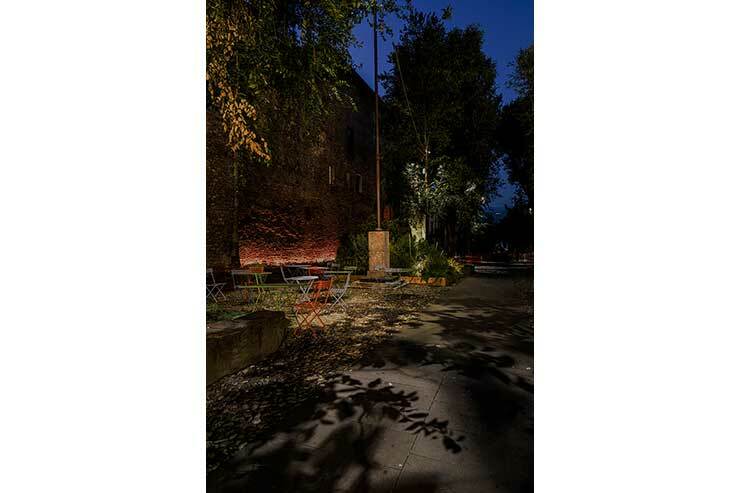 Public space needs to be occupied and felt as the ever changing environment that it is. 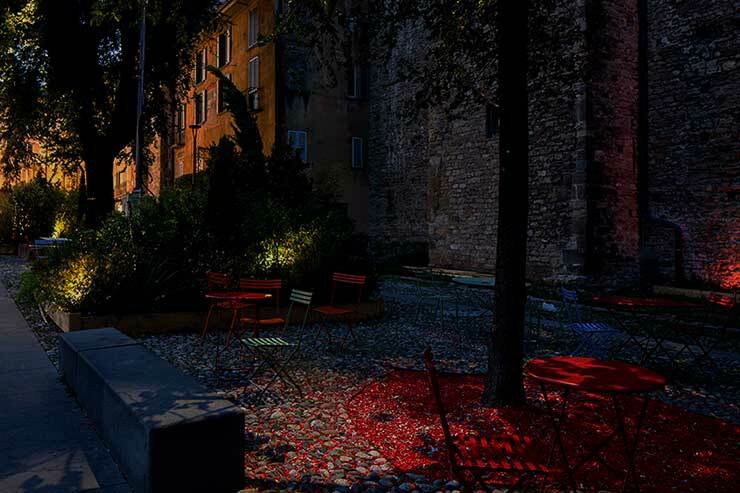 Lighting the square at night, via the landscape installation can give another life to an already impressive location. 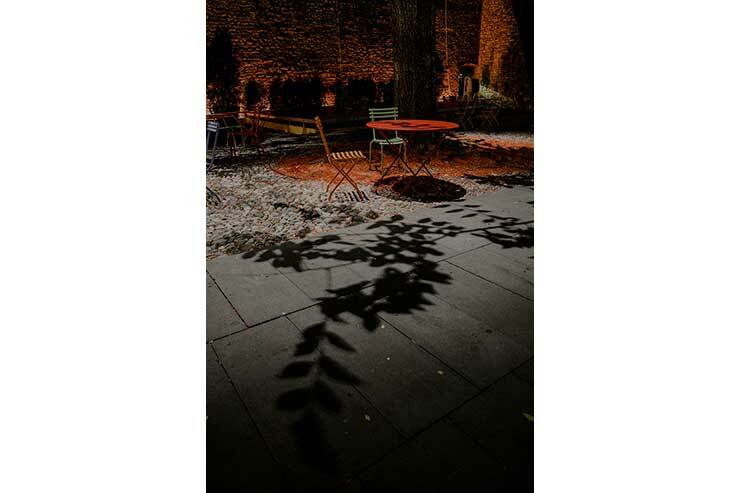 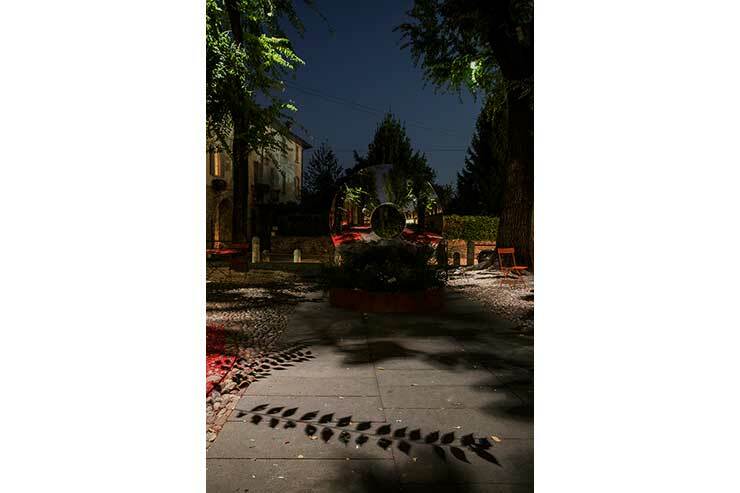 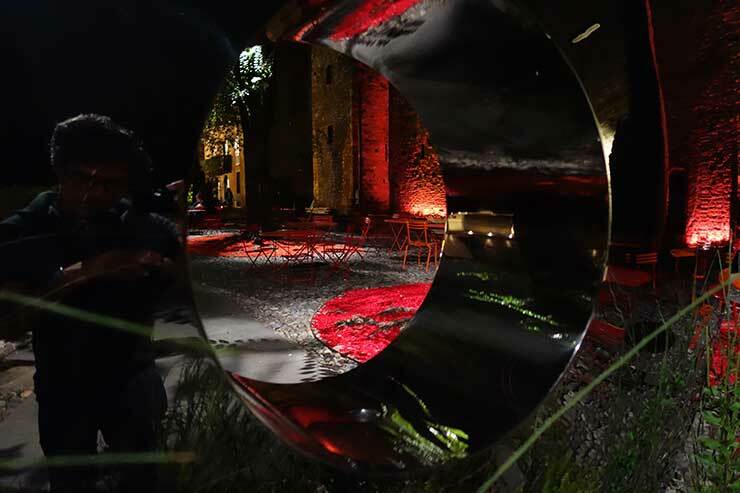 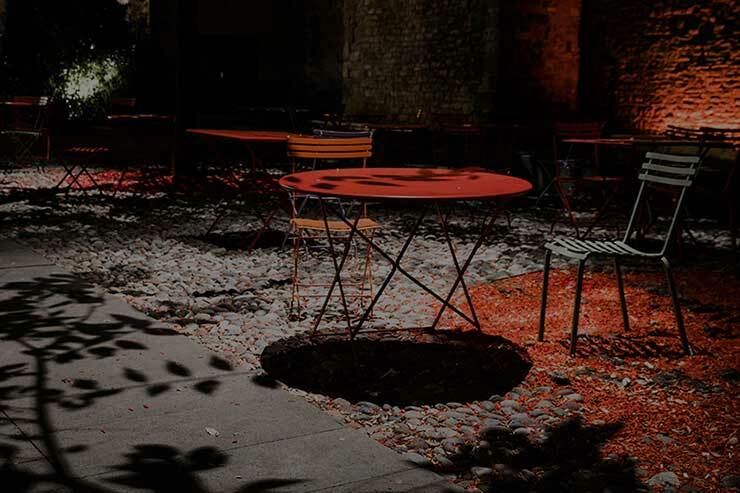 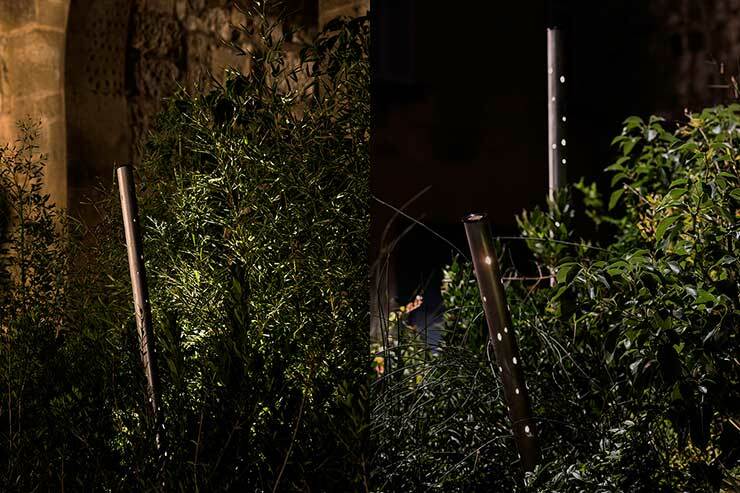 The landscape concept driven from that surrounding of the mountains, gave the lighting the perfect platform to explore these natural nocturnal experiences of the open-air spaces in the Bergamo old town.